What is the priority for an American company—staying competitive to ensure the best results for the company and its stakeholders (shareholders, employees, customers, etc.) over the long-term, or keeping as many jobs as possible in America? Can you be a good American (company) and invest overseas? This question is at the heart of the current tiff between Donald Trump and Harley Davidson. Trump placed tariffs on European steel. (It is interesting to note that the Trump administration did not specifically identify unfair practices on the part of the European steel industry. The tariffs were nominally implemented for national security reasons.) 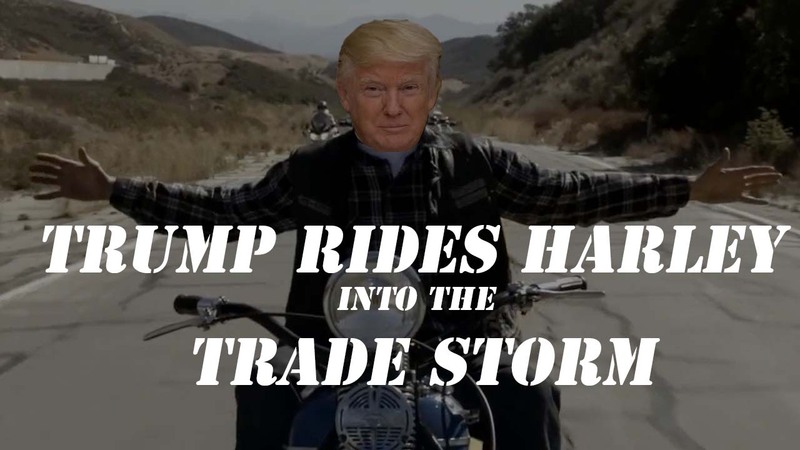 Europe enacted retaliatory tariffs that impact Harley. Harley, a company whose sales and manufacturing both largely occur in the US, announced it will likely manufacture more units overseas to avoid the tariffs. This prompted the President to lash out at Harley, including promising to tax them as they’ve never been taxed before. Is it right for the President to criticize an American company taking action to protect its economic interests? If you agree with President Trump, you are perhaps one of the many Americans who think the global economic order is stacked against America such that America has to fight back as a country to protect itself. That seems to be what Donald Trump intends to do. We will likely soon know if that approach works. There is another perspective, one that starts with the notion that protectionism and economic nationalism aren’t knew. In fact they are both very old ideas. They didn’t work, serving mainly to stifle competition, raise costs, and inhibit growth, which is why the more prosperous part of the world has been moving toward free trade for the last five decades. Are trade deficits really an economic loss? If you agree with President Trump, you might also be someone who, like the President, seems to focus almost exclusively on the merchandise trade deficit as a measure of the benefits of global economic engagement, in which case you might be overlooking a few factors. For example, Germany and Japan are two relatively successful countries that tend to carry trade surpluses. Both have per capita GDP levels that are 20% or more below America’s and are experiencing similar declines in manufacturing jobs as America is. If trade surpluses produce wealth and jobs, you’d be hard pressed to prove it via comparisons. What about services, investment, IT? America has its own surpluses. There are also factors beyond merchandise trade. For example, the US has a surplus in the trade of services and dominates the fastest growing, most profitable industry sector in the world, high tech, to the point where the market share and profits of companies like Google, Apple, and Facebook in markets like Europe and Canada are virtually monopolistic. Plus, as the largest and most stable economy in the world, the US borrows money and attracts capital at lower rates and better terms than any country in the world. Another way to interpret America’s trade deficit is to say that America’s purchasing power, as a result of these advantages, allows us to buy more stuff more cheaply than other countries that don’t have our wealth. In other words, we have a trade deficit because we are successful, not because we have failed. Is there another way to help workers, besides protectionism? Some will say that high tech success doesn’t help the American worker. That is not entirely correct, but the more important question is, are you sure protectionism is the right way to help the worker? Family breakdown (more than 50% of children born to non-college educated Americans are born out of wedlock) has led to social problems that devastate the working class and contribute to another huge American problem—education. 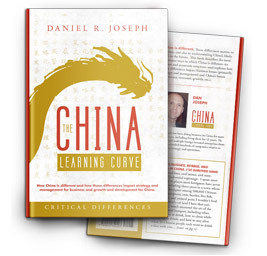 America’s mediocre to poor K-12 educational performance is another drag on the working class. High medical costs, driven in part by a lack of market efficiency, erodes both purchasing power and competitiveness. Improvement in these areas are just some of the ways, other than protectionism, America could improve conditions for workers. Governments create the economic environment. Companies make decisions. The system that works best is one in which countries do their best to create a productive and competitive economic environment and companies freely select how to manage their business. Using policy to manipulate markets and then compelling companies to comply does not have a great track record for producing jobs or growth. We appear on trajectory toward testing this hypothesis. Those expecting a positive result might want to brace themselves for disappointment. Harley is merely doing what successful companies do—adapting to the environment to remain competitive. If you support the President’s approach to trade, you should hope that he has factored this into his thinking. If Trump expects US companies to take losses to sustain the trade war, and plans to rebuke them if they don’t, this trade war will get very interesting very fast. Jobs depend on things like profits, growth and competitiveness, not just economic patriotism, no matter how you define it.